NEW YORK — Watching the numbers on the gas pump tick ever higher can boil the blood and lead the mind to wonder: Why are gasoline prices so high? Last year, the average price of gasoline was higher than ever, and it hasn't gotten any better this year. The average price nationwide is $3.88 per gallon, the highest ever for March. 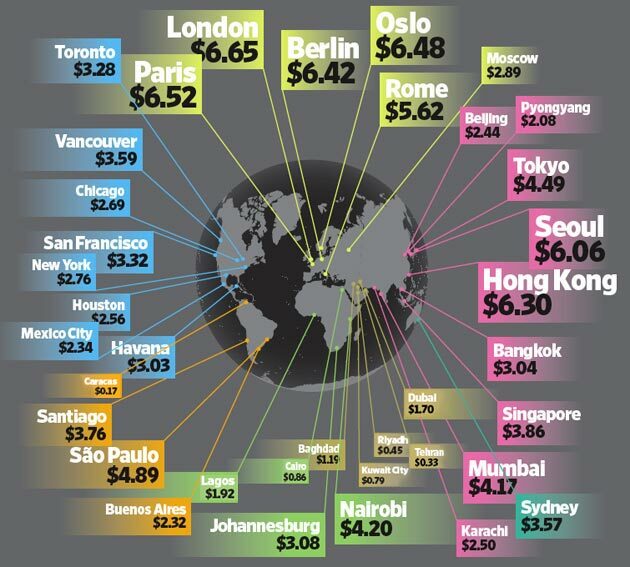 Ten states and the District of Columbia are paying more than $4. A: Mainly, it's the price of crude oil, which is used to make gasoline. Oil is a global commodity, traded on exchanges around the world. The main U.S. oil benchmark has averaged $103 per barrel this year. The oil used to make gasoline at many U.S. coastal refineries has averaged $117 per barrel. Oil prices have been high in recent months because global oil demand is expected to reach a record this year as the developing nations of Asia, Latin America and the Middle East increase their need for oil. There have also been minor supply disruptions in South Sudan, Syria and Nigeria. And oil prices have been pushed higher by traders worried that nuclear tensions with Iran could lead to more dramatic supply disruptions. Iran is the world's third largest exporter. A: When an oil producer sells to a refiner, they generally agree to a price set on an exchange such as the New York Mercantile Exchange. After the oil is refined into gasoline, it is sold by the refiner to a distributor, again pegged to the price of wholesale gasoline on an exchange. Finally, gas station owners set their own prices based on how much they paid for their last shipment, how much they will have to pay for their next shipment, and, perhaps most importantly, how much their competitor is charging. Gas stations make very little profit on the sale of gasoline. They want to lure drivers into their convenience stores to buy coffee, soda, beer and snacks. Oil companies and refiners have to accept whatever price the market settles on — it has no relation to their cost of doing business. When oil prices are high, oil companies make a lot of money, but they can't force the price of oil up. Q: Are oil prices manipulated by speculators on Wall Street? A: Investment in oil futures contracts by pension funds, mutual funds, hedge funds, exchange traded funds and other investors who aren't going to actually use oil has risen dramatically in the last decade. Much of this money is betting that oil prices will rise. It is possible that this has inflated the price of oil — and therefore gasoline — somewhat. But investors can also bet that prices will go down, and they do. Studies of the effects of speculation on oil markets suggest that it probably increases volatility, but that it doesn't have a major effect on average prices. Q: Are politicians to blame for high prices? A: Politicians can't do much to affect gasoline prices because the market for oil is global. Allowing increased drilling in the U.S. would contribute only small amounts of oil to world supply, not nearly enough to affect prices. The Associated Press conducted a statistical analysis of 36 years of monthly inflation-adjusted gasoline prices and U.S. domestic oil production and found no statistical correlation between oil that comes out of U.S. wells and the price at the pump. Over the last three years, domestic oil production has risen and gasoline prices rose sharply. In the 1980s and 1990s, U.S. production fell dramatically, and prices did too. Releasing oil from emergency supplies held in the Strategic Petroleum Reserve could lead to a temporary dip in prices, but the market might instead take it as a signal that there is even less oil supply in the world than thought, and bid prices higher. Any price relief from a release of reserves would be temporary. Politicians can, however, help reduce the total amount drivers pay at the pump. They could lower gasoline taxes and they can help get more fuel efficient cars into showrooms by mandating fuel economy improvements or subsidizing the cost of alternative-fueled vehicles. The first new fuel economy standards since 1990 are just now going into effect. Last summer the Obama Administration and automakers agreed to toughen standards further in 2016. The U.S. fleet is now more fuel efficient than ever, and gasoline demand in the U.S. has fallen for 52 straight weeks. 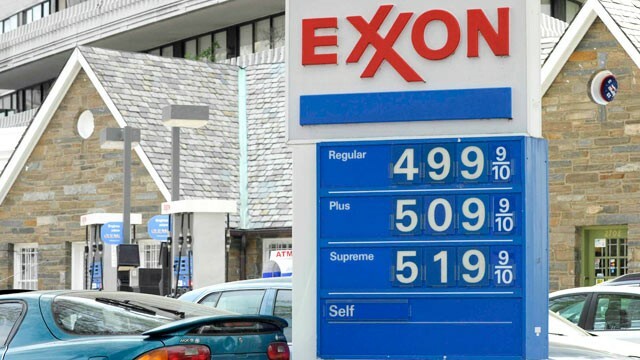 The U.S. is never again expected to consume as much gasoline as it did in 2006. That means that while drivers are paying more than they used to, they would have been paying much more if they consumed as much gasoline as they did in the middle of the last decade. Q: Are prices high because the world is running out of oil? A: Not yet. Prices are high because there's not a lot of oil that can be quickly and easily brought to market to meet demand or potential supply disruptions from natural disasters or political turmoil. Like most commodities, the need for oil is so great that people will pay almost anything, in the short term, to get their hands on what might be the last available barrel at any given moment. But substantial new reserves of oil have been found in shale formations in the United States, in the Atlantic deep waters off of Africa and South America, and on the east coast of Africa. Canada has enormous reserves, and production is growing fast there. The Arctic, which is largely unexplored, is thought to have 25 percent of the world's known reserves. The average price of gas in the U.S. has climbed 36 cents per gallon over the past year. (CNN) -- U.S. gas prices jumped more than 11 cents per gallon over the past two weeks, but may be peaking as the price of crude oil holds steady, according to the latest Lundberg Survey. The average price of U.S. regular gasoline rose to $3.93 per gallon, up from just over $3.81 in the last Lundberg Survey on March 9. 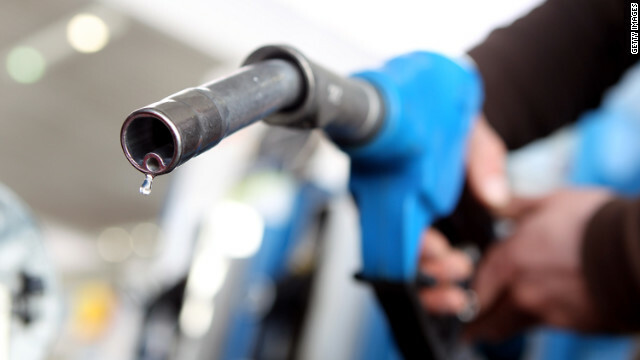 But survey publisher Trilby Lundberg said prices declined about a penny per gallon in California, where fuel costs are typically the highest, and crude oil prices have remained fairly steady in March. "If crude oil prices do not spike again, then gasoline prices will be peaking very soon. They may already be doing so," Lundberg said. "It will depend almost entirely on crude, as usual, but if they stay where they are, the peak may well turn out to be under $4 per gallon." Average U.S. gasoline prices have climbed by 36 cents per gallon over the past year. But with demand still relatively weak and nearly one-fifth of U.S. refinery capacity idled, the U.S. gasoline market "is not strong enough to spike on its own," Lundberg said. "The market is well supplied and looking well supplied into the future," she said. The latest Lundberg survey canvassed about 2,500 filling stations in the continental United States on Friday. The cheapest average gas prices in Lundberg's were in Tulsa, Oklahoma, at $3.58 per gallon, while Chicago had the most expensive at $4.56.